Median XL: Sigma is coming. The Diablo 2 mod has been kicking around the internet for ages, offering a brand-new game experience that rebuilds Blizzard’s original. The massive Sigma engine update has similarly been on the way for years, and the end is finally in sight – the overhaul will be out in just over a month. You’ll be able to download Sigma on January 18, 2019. The latest iteration of Median XL moves the mod to a new engine, which allows for an improved interface that can support higher resolutions. The update generally removes limitations from the original engine, offering opportunities for larger rooms, bigger inventories, and other general improvements. This edition of the mod will add a bounty system, split out spell timers into specific skills, allow for events, and – mercifully – will have you automatically pick up gold when you walk over it. If you haven’t played Median XL before, it offers new areas and items over the original Diablo 2, as well as a robust crafting system, extensive endgame content, and a host of community-driven online features. Check out a trailer for the new release below. You can stay current on the updates via the mod’s official site. It’s been a cruel month for old-school Diablo fans, as the mobile-exclusive Diablo Immortal was the only series announcement made at BlizzCon. 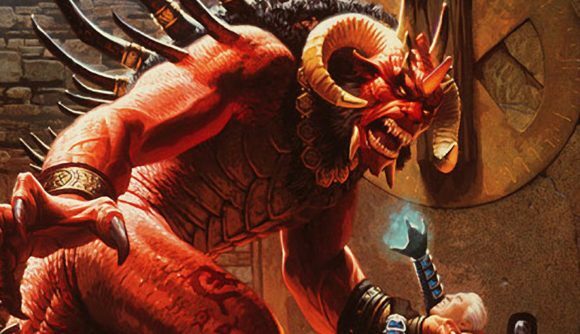 Diablo 4 development has been an open secret for years now, but an official announcement is still some time away. In the meantime, a trip back with Median XL: Sigma might just be the ticket series fans are looking for.